*Warning this is a spur of the moment post, or I guess more of a journal entry I captured from being triggered into an anxiety attack by a Facebook post. I just began writing as I felt the anxiety coming on and thought it would be healing if I shared. Please excuse the typos, grammar and incomplete thoughts. This was a raw emotional moment of an old wound that I have been pushing away for a very long time, that was in desperate need of healing. I have included the post in a link below. Now I wouldn’t normally share an article like this because I don’t feel that I need to flood people with tragic photos and stories, especially from the animal welfare field, because most of my Facebook friends are still in that field and they are bombarded by this everyday. But I feel this is a healing opportunity for me and it does have a happy ending. I don’t know if it’s because that Mercury is in retrograde, if I’m just taking on other’s energy, or if I’m just out of alignment, but my anxiety has been through the roof over the past several days. I’ve been taking time to help manage it, and doing a lot of self care. But today an article came up on my Facebook feed that opened the flood gates. I know there are a few unresolved issues I have around some of my past work in animal welfare. And this post of Facebook really triggered that today. The post, was of someone finding a puppy in a plastic bag, tossed out like trash on the side of a road. After leaving my job as a Humane Agent, I suffered horrible from Post Traumatic Stress Disorder. One of my biggest trigger to anxiety besides the phone ringing, was seeing trash bags on the side of the road. One of my cases involved the beating, sodomizing and killing of 3 dogs, that were then dumped on the side of the road. It has only been the past 3 years that I have been able to drive by a trash bag on the side of the road without stopping to open it. I didn’t want anyone to know how effected I was by this, so when I was driving with someone, I would note where the bag was and go back to check later. Today, I don’t have to stop or go back to check, but I am aware of the physiological effects it has on my body. My muscle tense up, my breathing shallows, and many times I hold my breath as I pass the trash on the road. My mind races, wondering if there is an animal in the bag. As I write this now I can feel the tightness in my muscles, and my breath becoming shallow, tears welling up in my eyes. But this is a chance for me to heal. So that is why I am sharing this. 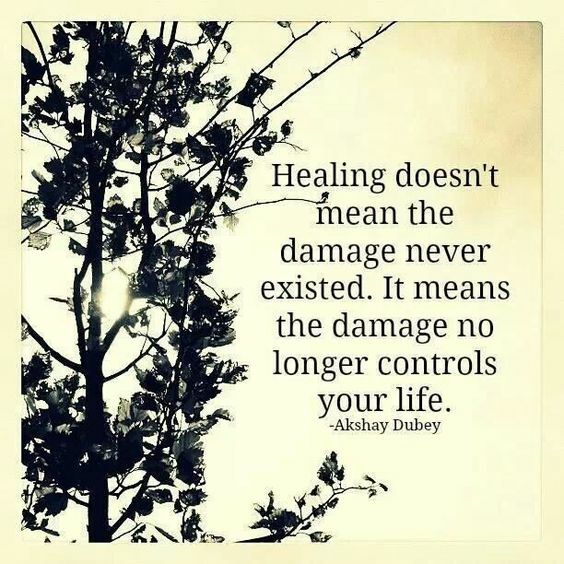 I WANT to heal this. So I will sit with these feeling, as uncomfortable as it is. I will let the tears flow. This feeling is so uncomfortable, and I want to get up and find something to do to busy my mind and push this down. But I sit. Feeling the empty pit in my stomach growing. My heart breaking opening as I remember collecting those dogs off the side of the road, their bodies badly beaten. Opening the bags to reveal the white and liver colored Britney spaniel, it’s body bloody and bruised. I remember being very disconnected with my emotions. Looking at their lifeless bodies and being so focused on collecting every piece of evidence I could, so I could find out who did this. I did not cry, I remained stoic, professional, and completed my job. I shut of my emotions to carry on the work I was doing. Most of the time the only emotion I felt was anger. And I’m sure that most people that work in animal welfare would say the same. My chest feels so tight. My teeth clench and my mouth becomes dry. My palms start to sweat and my fingers are cold. The tear are really starting to flow. I cry now for the lives of those dogs. I cry for the pain and suffering they endured. I cry for myself, that I had to witness such monstrous torture. I cry because a job like this is needed. I cry for the person(s) that did this, because of how tortured their soul would have to be to do this to an innocent creature. And then I feel the anger palpating in my neck, and my hand and teeth clenching, my breath is short, and my skin tingles, especially on my face and around my mouth. Perhaps a physical manifestation of not voicing my anger and hurt. My mind starts racing through all the possibilities of how something like this could happen? Who could have done such horrible things? Then I start second guessing my management of this case. Did I collect the evidence correctly? Was there something I miss, or got left in the woods? Did I ask the right questions? Talk to enough people? I am sobbing uncontrollably. I sit with this pain and discomfort for what seem like an eternity, but it has maybe been 30 minutes. I begin to feel my body soften and then release of anger and guilt. I am beginning to feel the tension release in my muscles and room in my lungs to take a full breath. I go back to April of 2006, to the girl who wanted to save the world. I stand next to her as we look at the tailgate on the side of the road, starring at the muddy trash bag encasing the beaten body of an innocent dog. I tell her, “I am sorry.” I am sorry for not protecting you by setting boundaries. I am sorry for not providing you the coping mechanisms needed to do this gurgling work every day. I am sorry I did not take care of your physical, emotional, mental and spiritual needs. I honor, recognize, and love your heart and spirit. I honor the work you did, the sacrifices you made to help save the lives of animals, and to help change the lives of people. Thank you. Thank you, for all that you did. I also give a moment of gratitude to the Sheriff Detective that took me seriously and assisted me with getting evidence to the crime lab, and the police officer from one of the surrounding towns that tried to get finger prints. I give thanks to the supportive colleagues and supervisor I had at that time. They were the only ones who truly understood the struggles of my daily duties. They struggled along with me. In those days it was so hard to relate to the outside world. My days were full of abuse and neglect. Everyday, no matter how hard I tried, I felt overwhelmed by my case load, like I was a failure, inadequate and incompetent. I continue to sit with these feelings and allow them to flow through my body. It does not feel good. It hurts, it’s uncomfortable, it’s dark, it’s empty, but I’m healing. I hold space and honor the memory of these dogs that where so violently tortured. I surround their memory in compassion, and send it into the light of the universe be consumed by eternal love. I forgive myself for not being able to find out who did this. And I forgive the person who did this to these beautiful creatures. I pray that your soul has healed since this happened, and that you have received the help you needed. I hope that you have found a way to heal those dark and dangerous spaces in you mind. I send you light, love and peace. This entry was posted in Healthy Mind, Healthy Spirit, Healthy You and tagged animal advocates, animal shelter workers, animal welfare, anxiety, forgiveness, healing, health, healthy living, self care, self doubt, self love, spiritual health, Triggers on August 30, 2016 by Jen. This week we will incorporate movement into our daily routine. The goal is to get 20 minutes of exercise and increase that to 30 minutes a day. If you feel ready or are currently do 30 minutes or more, by all means go for it! But for those that haven’t been working out regularly or have a hard time to find a 20 block of time, here is what I want you to do; two 10-minute sessions. Can’t find 10 minutes? Then do four 5-minute sessions. I won’t let you excuse your way out of this!!! Some of the amazing benefits of exercise are that it helps to control weight, improves mood and brain function, reduces stress, PROMOTE SLEEP, prevents health conditions and diseases, taps into your creativity, and so much more!!! Some quick workouts you can do and you don’t even need to go to the gym!! Dancing!! This one is my favorite and makes me feel so good. There is nothing like shaking it to “Pour Some Sugar on Me” to put me in a good mood! Create a play list and dance yourself into happiness! For your mind we are going to do the opposite of movement. We are going to slow it down and give it a chance to rest. We will incorporate a mediation practice. Now when most people think of mediation, they think of sitting cross-legged, on a big pillow, with candles and incense burning, chanting some strange language. This is not at all what I mean, but if that works for you, chant away my friend!! 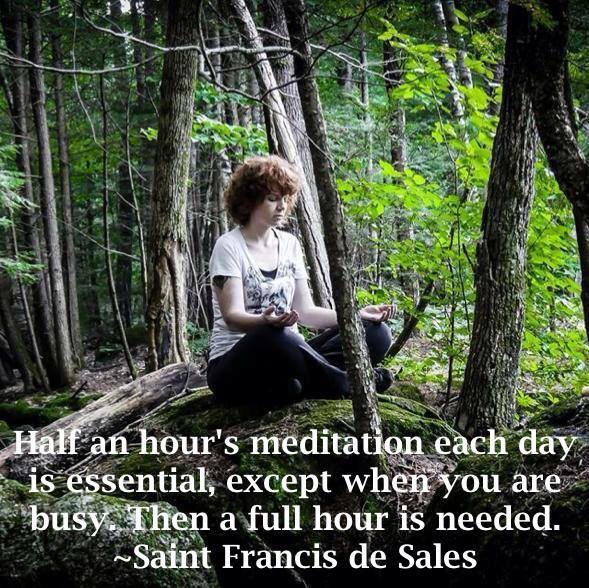 That is one of my favorite ways to meditate!!! Some of the benefit of meditation are reduces stress, IMPORVES SLEEP, brain function, immunity, concentration, increase attention span, helps you feel more connected, increases self-awareness and happiness, slows aging, and so much more. There are many ways to meditate. 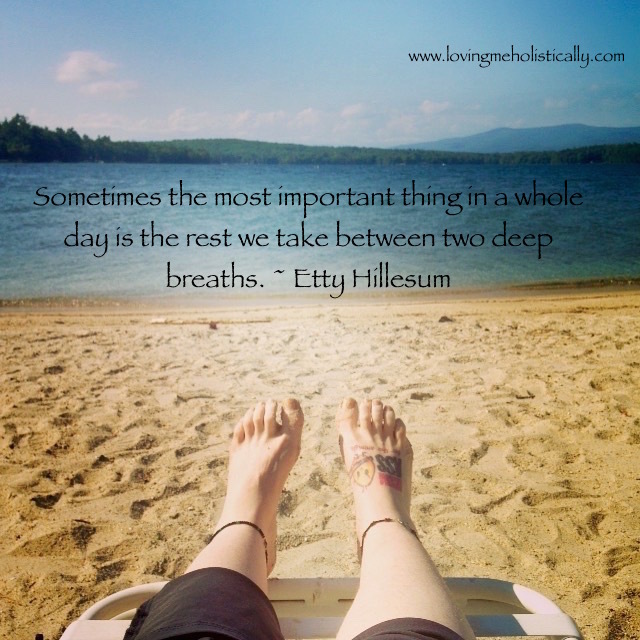 One of the easiest ways to start is to practice a breathing exercise. Start by closing your eyes and taking a deep breath in for the count of 5, filling your belly. Hold the breath for a count of 5, and then let it all out for a count of 5. Do this for a round of 5 breaths and practice this couple of times a day. Especially upon waking and just before going to bed. Another way to begin to mediate is using a guided mediation. This was the key for me to establish my meditation practice. It gave me a way to keep my mind focused. Now I don’t need it, but I still love doing guided meditations. I have attached some links to some of my favorite Youtube channels that offer guided meditation. 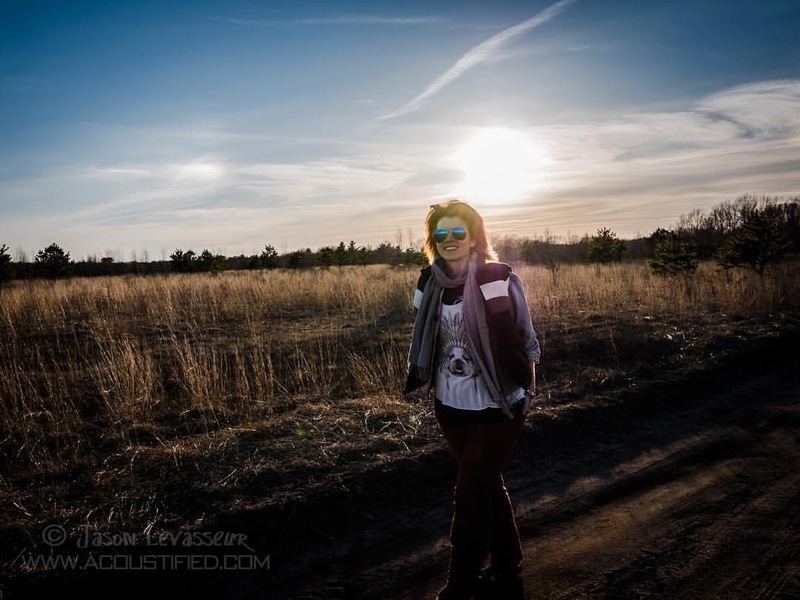 Take a moment to go through the videos and find what resonates with you. Then plug in your headphones, find a quiet comfortable spot, close your eyes and relax! Meditation can be as simple or as elaborate as you want to make it. There are many different ways and types of meditation. I suggest by starting with these simple steps and practicing them daily. Once you get some momentum in your practice, then explore other mediation methods and techniques. This entry was posted in Healthy Environment, Healthy Mind, Healthy Spirit, Healthy You, Uncategorized and tagged exercise, happiness, health, healthy living, life, manifestation, meditation, mental health, self care, self love, sleep challenge, spiritual health on August 14, 2016 by Jen. 1. Create a self-care ritual: This week we will add self-care to our daily routine. Continue your morning and bedtime routine, and turning off the electronics and television 1-2 hours before bed. Now we are going to create a self-care ritual. This can be any time during the day, but the idea is to do something that makes you feel good. Self-care are intentional actions taken to meet our physical, emotional and spiritual needs. There are so many benefits of practicing self-care, such as reducing stress, supports a healthy immune system, reducing anxiety and depression, builds our confidence, makes us better caregivers and so much more. Each day decide on one or more actions that you will take to practice self-care. One thing I would like to point out is to do something that is completely different from what you do for work. Or if you’re a stay at home mom, this doesn’t mean taking your kids to the movies. That IS fun and I love doing that, but this is a chunk of time is devoted just to you. Another example of this, I use to work in the animal welfare field and EVERYTHING I did in my life revolved around animals. When I wasn’t rescuing them, I was walking my dog, going to an agility class, cleaning my pig’s pen, playing with my cats. Everything involved an animal on some level. I loved doing all that, but had I taken better care of myself during that time and given myself a break from animals, I would have been a much healthier, happier person. And I would not have suffered as horribly as I did. I have a nightly self-care ritual that I’ve done for the past 3 years. I take a shower before bed, usually with the lights off and burn a candle, while in the shower I meditate for 5-10 minutes. During my meditation, I think of all the wonderful things that I am grateful for and just breathe deeply (meditation can be that easy). After showering, I apply essential oils (usually Vetiver) with massage oil and give myself a massage and think of all the things good things I did that day for myself and others and how that made me feel. Since this challenge began, I have been turning on my Himalayan sea salt lamp and reading a book. I’ve noticed in just a week, my sleep is better and I wake up well rested. · Paint, draw, craft, playing an instrument, etc. · Buy yourself a healthy delicious lunch, or make yourself one. Fill your thoughts with love and kindness as you create your meal. Then enjoy each bite slowly. · Saying “no” to something you don’t want to do, and DON’T feel guilty. The list is endless. Just do something that feels good to you and nourishes your soul. 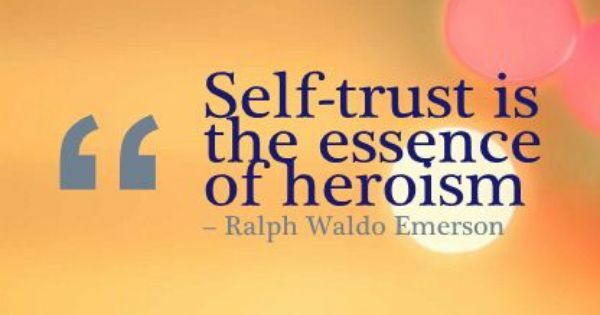 Taking care of yourself first, allows you to continue to care for those that rely on you to care for them. So give your soul a big hug and start practice daily self-care. 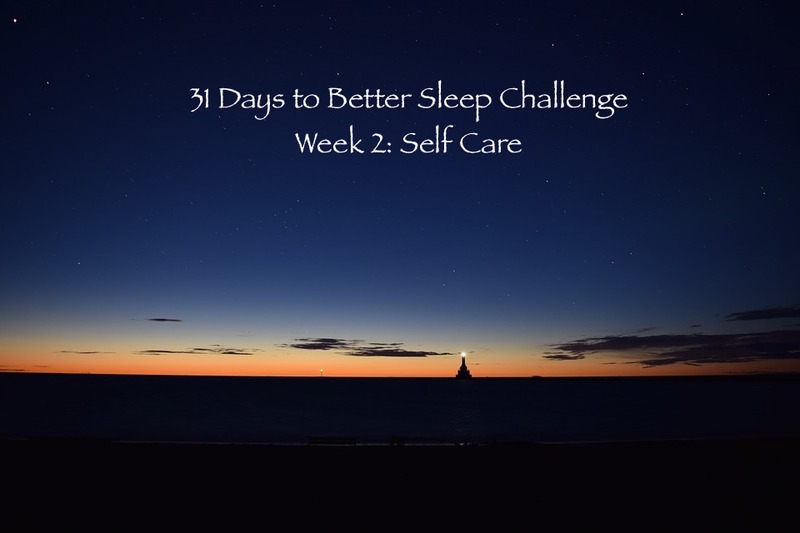 This entry was posted in Healthy Environment, Healthy Mind, Healthy Spirit, Healthy You, Uncategorized and tagged bedtime, happiness, healthy living, life, meditation, mental health, self care, self love, Skin care, Sleep, sleep challenge, week 2 on August 7, 2016 by Jen. In this exercise, we will be cleaning our sleeping space, and creating a soothing and relaxing sleeping environment. Make it a place you want to be. Start by cleaning and decluttering. All those magazine, books, papers, odds and ends you have piled up on your nightstand, get them out! I tend to have “I will read these later piles.” Lets designate a different space for that. Even better, if it has been sitting on your night stand for more than a month or two, let it go. Once you have everything decluttered, now is the time to wash the walls, floor and carpet, vacuum all the corners, and wash the windows, nightstands and bureaus. Clean out your drawers and closet, let go of anything you are not using or haven’t wore in the past 6 months. Wash your bedding and hang it on the line to dry. There is nothing better than line dried sheets! Is it time for new pillows? This is great time to do a little splurging. Getting some new pillow and bedding is a treat. Look at getting natural fibers, soft colors, and something that you really love. Setting a bedtime routine is the are I sometimes have the most challenge. Your goal is to be in bed with lights out by 10 or 11 pm. You also want to wake up every morning at the same time, and try to achieve 6-8 hours of sleep a night. One to two hours before bedtime, turn off all electronics. Yep that’s right, no TV, no video games, no Facebook, for me, no Tiny House videos on YouTube! TURN OFF YOUR PHONE!! If you use your phone as your alarm, put it on Airplane mode so that you are not receiving your messages and updates on social media. Reduce all artificial lighting. This is a great time to start a new evening routine with your family, like eating dinner by candlelight, and just continue using the candle light for the remaining part of the evening. Himalayan sea salt lamps are great to use too. Stop your caffeine intake after 2 pm. That means no coffee, soda, or any other sugary drinks. Stick to water and stop drinking anything 2 hours before bed. That is also the rule for eating. No eating 2 hours before bedtime. So now you have 1-2 hours before bed, of no TV, electronics, NO PHONE, etc., what do you do??? Now is the time to do something that’s relaxing. But first, gather the things you will need for tomorrow. Set out your clothes, make your lunch, anything you need for the next day, have it set out and ready. Then start working on that “I’ll read it later” pile. Begin a journaling practice or a meditation practice. Work on a crafting project, color a mandala, gentle yoga, connect with your partner, the possibilities are endless. Just do something that relaxes you and nourishes your soul. We will go into this more in a later week. Creating a morning routine is just as important as an evening routine. Upon waking drink water! I like to keep a glass next to my bed, so when I wake up I can drink immediately. This helps hydrate your body and wakes up your digestive system. I also like to drink another glass of lemon water before eating anything or drinking my coffee. Other things to incorporate into a morning routine is making your bed, dry brushing, stretching, journaling, the list is endless. Last year I started to wake up an hour early to have some extra time for me. I began a meditation practice and did some gentle stretches to start my day. I encourage you to do the same. It really allows me to ground myself and I don’t feel so rush trying to get out the door. Practice these exercises this week and see how you feel. This could be something you track in a journal. Record how your feeling when you wake up, how many hours you sleep, how many times you wake during the night, anything related to your sleeping habits. This is a great way to track your progress. 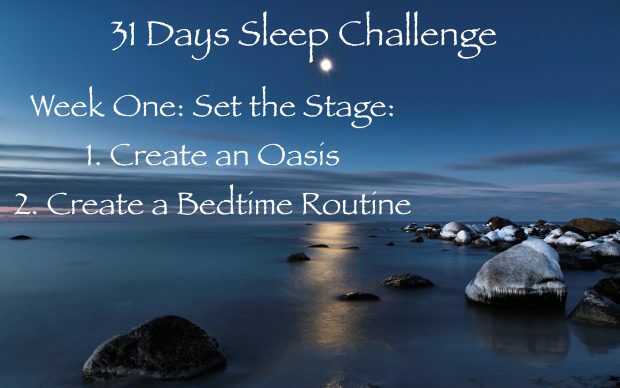 Come over to my to Facebook Sleep Challenge Event and join the challenge! This entry was posted in Healthy Environment, Healthy Family, Healthy Mind, Healthy Spirit, Healthy You, Sleep and tagged happiness, health, Healthy Environment, healthy living, healthy sleep, lemons, sleep challenge, spiritual health, water on July 31, 2016 by Jen. This morning I got up and made breakfast as I do every Sunday morning. After Jason finished eating, he said that he wished we had orange juice. And me, being the granter of wishes and magic, obliged. I had 5 oranges that needed to be used up, and a pineapple that had finally ripened. 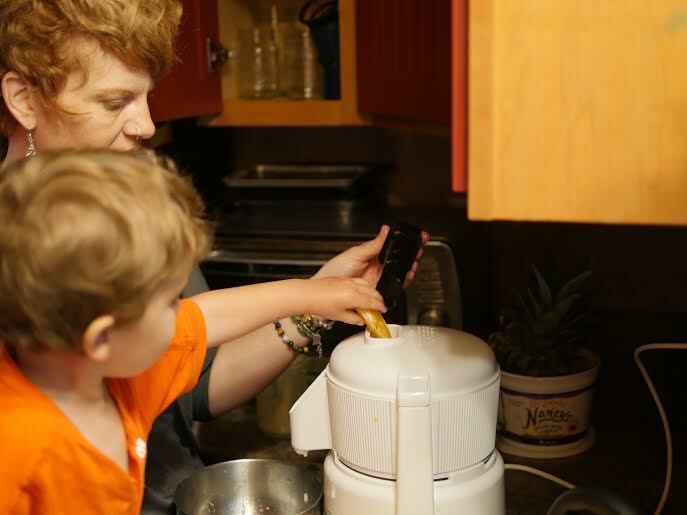 With Elliot’s help, we juiced the pineapple and oranges in our juicer. During the juicing process, I had a wild idea to take our orange juice to a whole new level!!!! Let’s add some frozen BLUEBERRIES!!!! I transferred the orange-pineapple juice into the Vitamix and threw in about a couple of frozen blueberries. OMG!!!! It was so good!!! Another step toward our zero waste movement!!! Peel and cut up the oranges and pineapple and juice them in your favorite juicer. 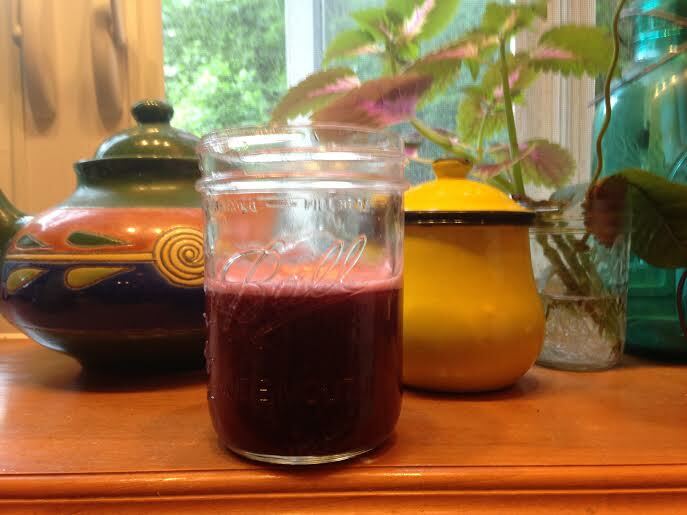 I love my ACME Surpreme Juicerator (which was also thrifted, or I should say, rescued) 🙂 Then place the juice in the blender and add frozen blueberries. Blend until smooth and enjoy!!!! 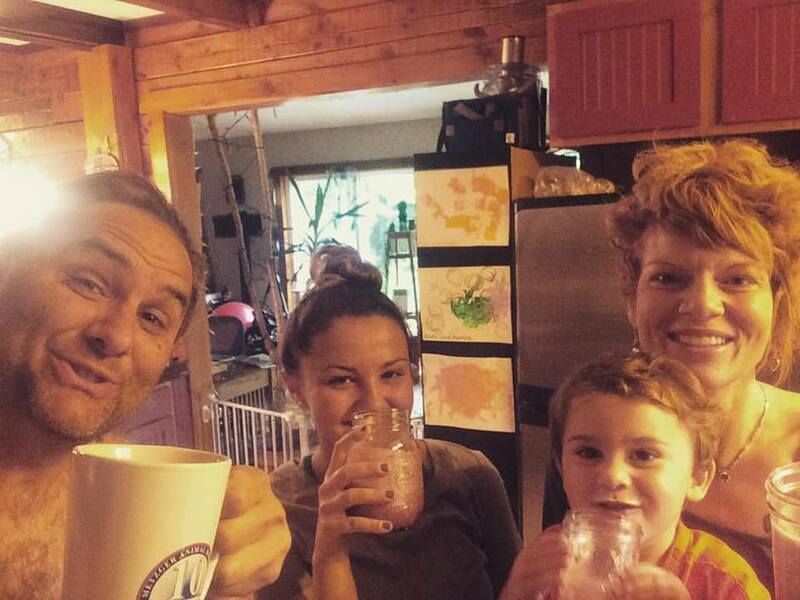 Say “Juice!” A family that juice together, stays together. 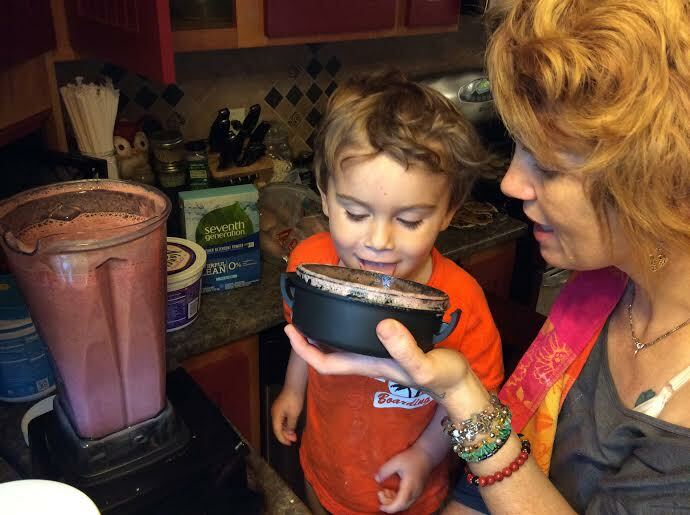 This entry was posted in Healthy Eating, Healthy Environment, Healthy Family, Healthy Mind, Healthy You, Recipe, Uncategorized and tagged clean living, eat clean, family, family fun, happiness, health, healthy eating, healthy living, juice recipe, juicing, life, recipe, toddlers, zero waste on July 10, 2016 by Jen. It might not make sense that this blog is posted on a holistic living site, but it explains part of my journey to wellness and self love. The other day I was at my favorite children’s consignment shop looking for potty training supplies. In the midst of strollers, clothes and toys, there was a woman I recognized browsing the aisles. I was instantly taken back almost 4 years ago. It was everything in me not to run up and wrap my arms around her, but she may not have remembered me, or she may not have the same feelings I have about our past encounter. You see, in my past life I spent 15 years working in animal welfare and I met this women at the tail end of that career. Throughout those 15 years I practiced no self-care or self-love. I worked with every last ounce of strength, compassion and conviction I had in me advocating for animals. 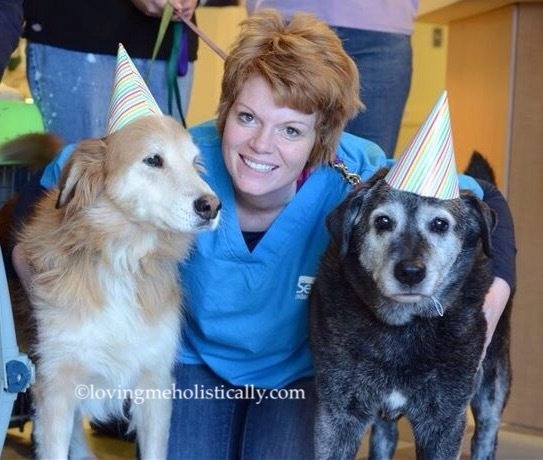 After spending several years as an animal cruelty investigator, I thought the opportunity as a kennel manager at the local humane society would offer some relief and sanity in my life, but I was so wrong. This woman at the consignment shop was one of those angels in human form, that would occasionally walk through the shelter doors to remind you that there were still good people in the world. One summer day she came to my shelter and adopted a dog that was challenging to place. The dog was a middle aged hound, with a high pray drive, very little focus or interest in people, and a loud bark. This woman and her family took a chance on this dog. 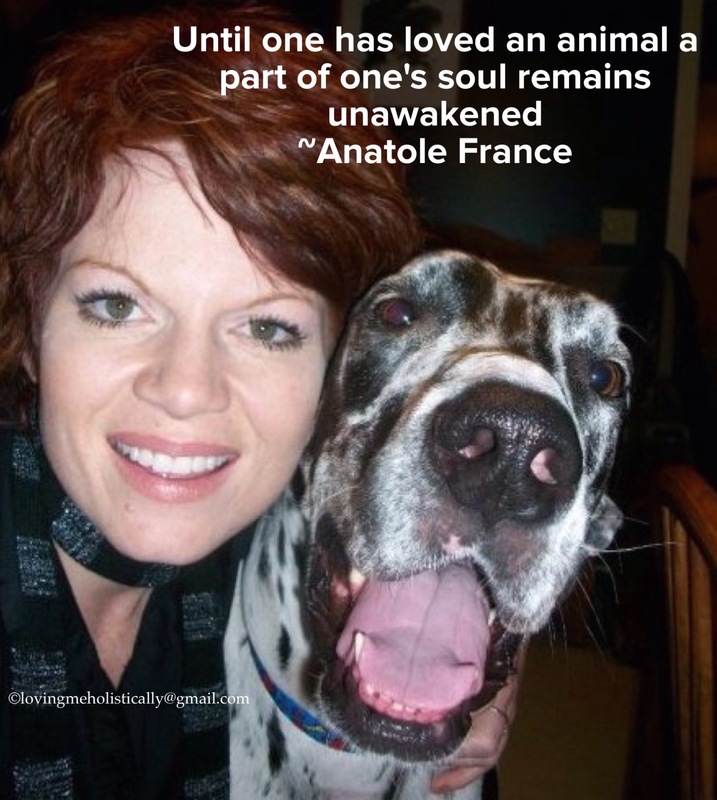 They spoiled and lavished him with love, attention, toys, and long walks. They included him in all their family activities. After a few weeks, he became very reactive and possessive of his things and a bite occurred. Even with training, all the love they had, and all the forgiveness in their hearts, they could not risk the safety of their children. They sadly brought him back to the shelter. My team and I conducted extensive temperament testing, and had a behavioralist work with him. Due to the severity of the situation and his history, we found it best to make the hard decision to euthanize him. We included the family in the decision, which was hard for them, my team and me. Honestly, it would have been easier not to tell them anything. But it was the right thing to do, to give them the opportunity to grieve and have closure. This family had such grace, compassion, and forgiveness, not just for the situation but for my team and me. 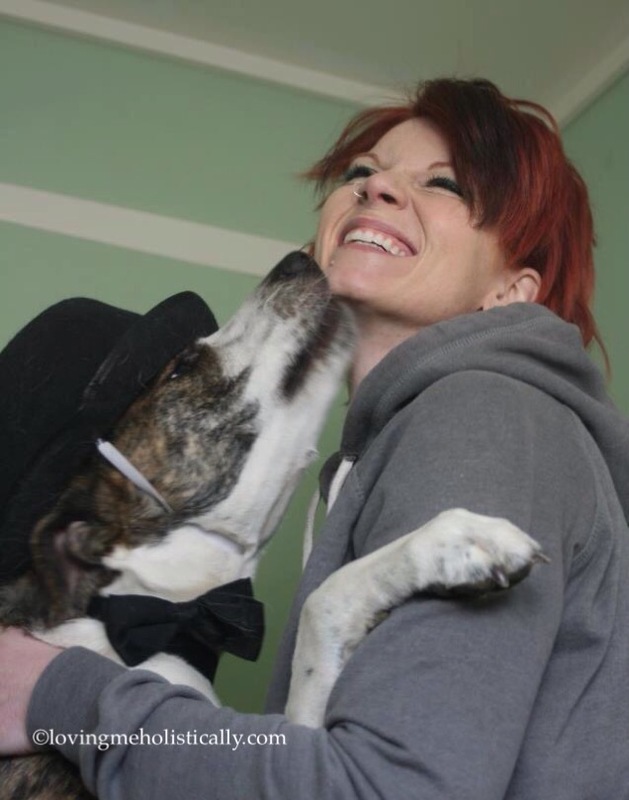 During my time at the shelter I struggled with guilt and feelings of failure everyday. Was I making the right decisions? Was I being an effective leader for my team? Was I doing enough? I sometimes felt I had a very different view of rescue after spending so much time as an animal control officer and cruelty investigator. I spent many hours in the hospital photographing and taking statements from adults and children that had been severely bitten. My job at the shelter was not only to advocate for the animals but to protect the community as well. Needless to say I was always second guessing myself, full of guilt and doubt, and could not look at myself in the mirror. Playing God, just wasn’t what I wanted to do. I left the animal welfare field a little over 3 years ago. After a lot of self care, soul searching, and healing, I am at a place that I love myself again. I am proud of the time I spent advocating and caring for animals. Did I made mistakes? Of course! I did the best I could do in the situation and with the resources I had. So maybe seeing this women really wasn’t meant for me to have a face-to-face encounter, but a gentle reminder to honor my years advocating for those without voices and to continue to advocate for myself. She was a reminder to continue to be compassionate and gentle to myself. It doesn’t matter what career you’re in, the challenges of every day life can make you feel like your barely keeping your head above water. We all need to cut ourselves some slack and give ourselves forgiveness. We would do that for a friend, why do we find it so hard to do it for ourself? Let go of the guilt of not being able to do it all and practice self-care on a regular basis. Self care is not something you do only on the weekends, it’s something you need to do every day in little increments. Find the things that make your soul giggle with joy and do them often. Get creative, play, dance or just take a moment of silence to honor your humanity. Thank you to that human angel that came into my life not once, but twice. Thank you for not only taking a chance on an old shelter dog and giving him the best days of his life, but for the reminder of how far I’ve come. I paid for my potty training supplies and walked out of the store with a bag full of elastic waisted pant and undies, a heart full of joy and a smile on my face. This entry was posted in Healthy Environment, Healthy Mind, Healthy Pets, Healthy Spirit, Healthy You and tagged animal advocates, Animal shelter, animal shelter workers, animal welfare, animals, compassion, compassion fatigue, earth Angels, happiness, health, healthy living, let go, life, meditation, reminders, self care, self love, spiritual health, Wellness journey on March 19, 2016 by Jen.